I placed this class of outstanding Jersey cows C D A B. C starts the class because she excels in overall style, balance, and correctness of udder. C places over D because she is longer and leaner in her neck, sharper over the shoulder, cleaner and more open in her rib structure. C also excels D in her levelness and correctness of rump structure, being more nearly level from hooks to pins. C is higher in her rear udder attachment and is much fuller and blends nicer at the top of her rear udder. Finally, C has the advantage of being deeper in her median suspensory ligament and has a more correct teat placement, both fore and rear. 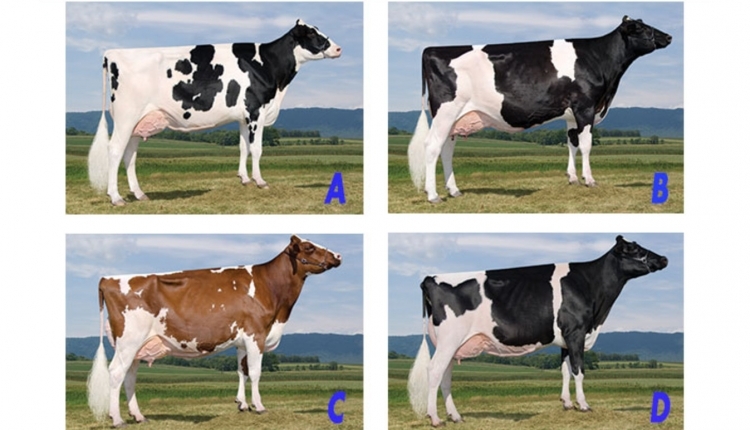 I grant D has more width throughout but lacks the overall balance and dairyness of C.
In my middle pair, D places over A because of her overall body capacity. D is wider in her chest and deeper in the heart. D also is deeper in her rib, both fore and rear, than A. In addition, D has a wider rear udder attachment and a much smoother fore udder. I grant A is fuller and blends nicer at the top of the rear udder. In a close final placing, I place A over B. I give the advantage to A in being fuller in the crops and blending smoother from her neck to the shoulder. 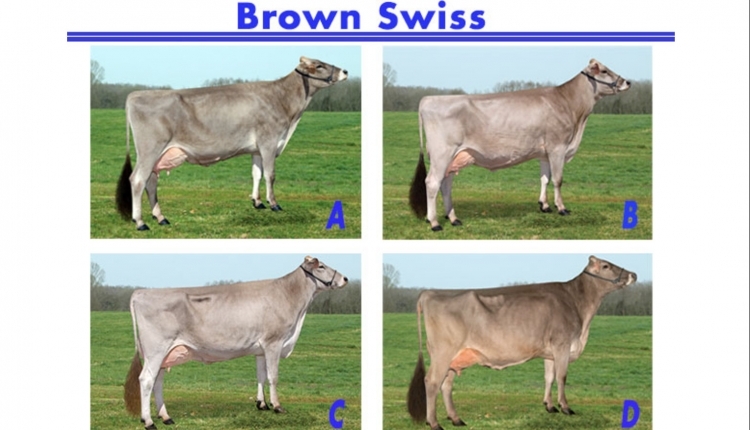 She is a longer-bodied cow and excels B in the height of her rear udder. A also has the advantage in median suspensory ligament and levelness of udder floor. 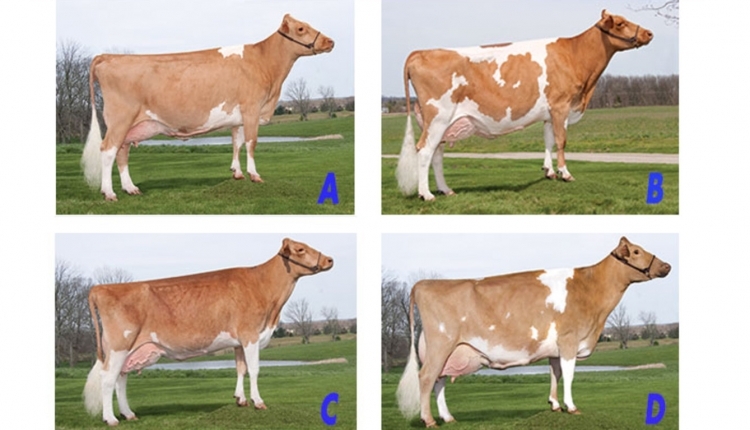 I grant B has a flatter bone in her rear leg and a stronger pastern than does A. I admire B for her overall dairy character, but she lacks levelness in her udder floor and correctness of her fore udder to merit a higher placing. Mosser placed the JERSEYS. 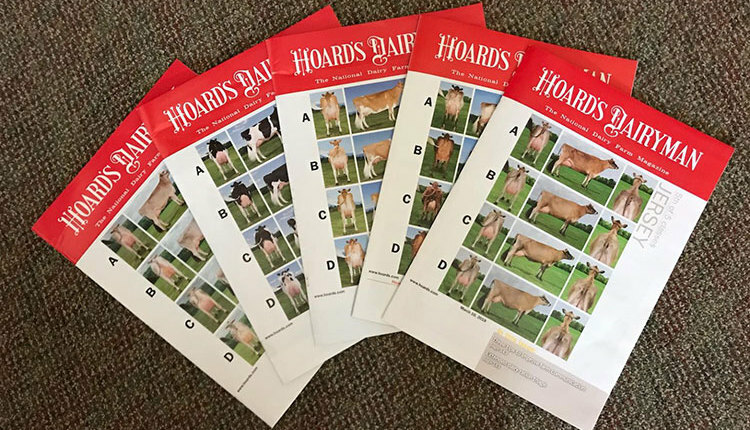 He serves as field representative for the American Jersey Cattle Association (AJCA) and the senior type traits appraiser. Mosser has officiated shows in all breeds including six at the North American International Livestock Show, four at World Dairy Expo, three at Eastern States, and 38 state fairs. He also has judged shows in Argentina, Canada, Colombia, Ecuador, and Guatemala. Prior to joining AJCA, Mosser owned Pleasant Ridge Farm and earned numerous Premier Breeder and Exhibitor banners with Jerseys. He also has bred many All American and All Canadians.